Architetto, PhD, è professore ordinario di progettazione architettonica e direttore dell’Istituto di Architettura Montana (IAM) presso il Politecnico di Torino. Tra il 2005 e il 2014 è stato vicedirettore dell’Urban Center Metropolitano di Torino. È autore di diversi progetti architettonici in territorio alpino, e con i due volumi La costruzione delle Alpi (Donzelli 2014 e 2016) ha vinto i premi Mario Rigoni Stern e Acqui Storia. Architetto, PhD, è ricercatore e docente presso l’Istituto di Architettura Montana (IAM) del Politecnico di Torino dove si occupa di architettura e paesaggio alpino in epoca moderna e contemporanea. È autore di articoli e saggi su libri e riviste italiane e internazionali. Tra i suoi libri, Architetture del secondo Novecento in Valle d’Aosta (2018), Rifugi e Bivacchi. 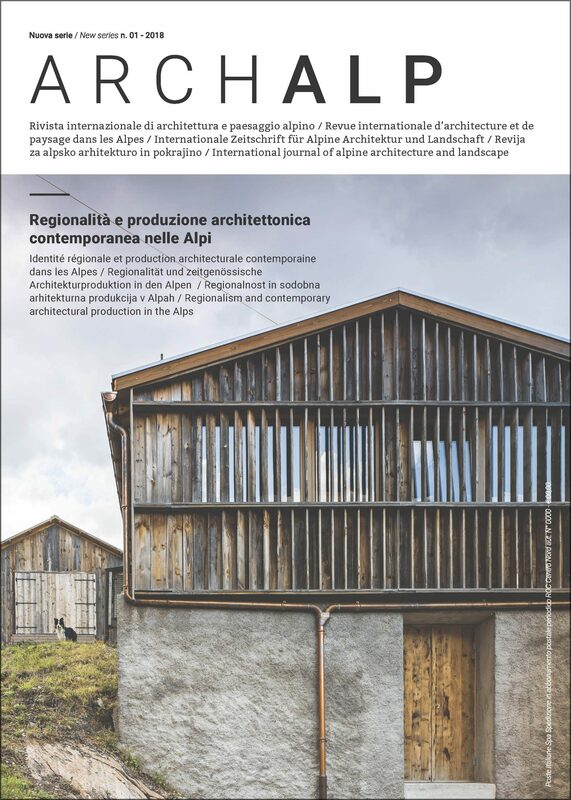 Gli imperdibili delle Alpi (2018), Architettura alpina contemporanea (2012). Keywords: Piemonte, marginal areas, alpine tourism, settlements, contemporary architecture, high altitude areas. The contemporary architectural production in the Alps of Piedmont has to be studied taking into consideration the contrasting phenomena of depopulation and tourism that have involved the mountain areas of the region during last century. In the fifties and sixties the percentage of abandonment of the high valleys reaches even 80-90%. Entire communities move to industrial urban centers in the cities on the plain. On the other side we witness to a strong polarization of the winter stations that become real “banlieues blanches” for the free time of the citizens and where the architecture of alpine modernism, with various forms, shapes. The paradox nowadays is that the rarefaction of abandoned and depopulated territories is necessary to force to start and choose new innovative paths. We witness a contemporary situation with different shades: on one side the well-established touristic territories that need projects to promote the redevelopment and diversification, on the other side the marginal places where are rising new visions are practices of reactivation of the territory in which architecture is fundamental. The topic of quality of the construction of the physical space intersects with the regeneration of places on a cultural basis, new agriculture and green economy, innovative development of the patrimony, sustainable tourism, with inclusive and participative paths of nature, by giving new meanings to places and building new economies and identities.